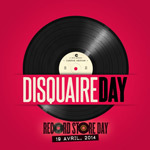 This year the Record Store Day will takes place on April 19th. This international event is followed by thousands record stores and CD and vinyl records shop. All vinyl addicts and music geeks will dig the records bins of physical or virtual stores in order to enjoy the specials of the day ! Ok, this day has been especially created in order to remind everybody that the actual music industry system, downloads and digital releases decreased CD and vinyl records sales. Yes, the survival of independent record stores and small compact disc e-commerces, and also smallest underground records mailorder, is necessary to offer a larger and more specialized panel than large retailers and major labels. Thanks to this record stores and vinyl records celebration and to our specials on underground metal demo, to the price drop on metal vinyl records, and to all our cheap heavy metal CD, we hope you will discover new bands and new albums and wil have some money to show support to all those rare vinyls, limited digipack hard to find, cheapos records or simply usual compact discs. That's why our Metal Record Store (CD - vinyls - cassette- LP - EP) offers you a voucher of 5% to use on our whole catalogue : thrash metal records, doom metal CD, black metal vinyls, death metal cassettes and tapes .... and even on our CD and vinyls records having already a special promotion ! Just use the promo code DISCDAY14 to get 5% off on our metal CD and vinyl records between April 1st and April 30th 2014. Visit the Online Record Store. Good Record Store Day to all !